I guess you could call me a writer’s writer. As Unicorn for Writers Vice President for Editorial Services unicornforwriters.com, I am always looking for compelling stories, both fiction and non-fiction. I just love to start reading the first page of a manuscript where the words just jump off the page. Commas, we can add (or delete), paragraphs we can move around – how did all those great authors write without computers? – but putting words together in ways that grip the reader, I’m not sure that can be taught. 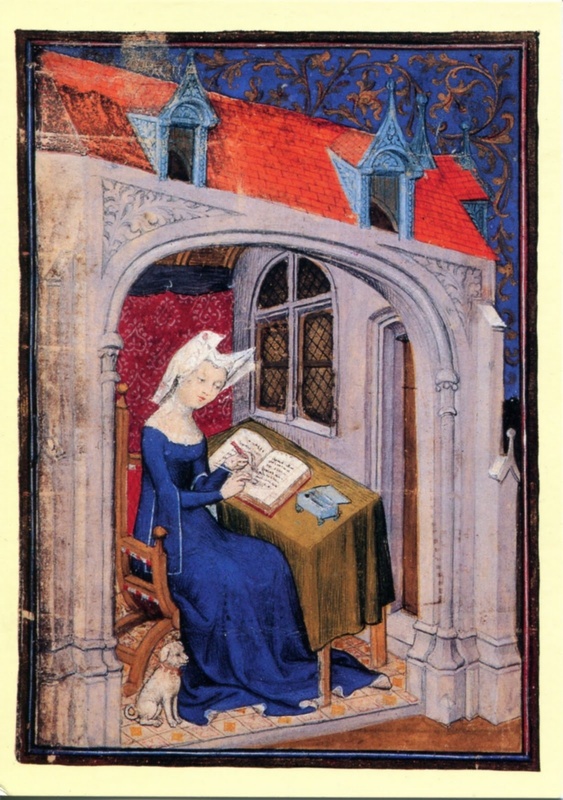 The picture is of Christine de Pizon, born in France in 1364. She was one the earliest women writers to support herself and her children by her writing after her young husband died. She wrote the biography of the French king, Charles V.